Breaded shrimp is one of the most popular and simple ways to prepare shrimp. This is done by using a breading to cover the shrimp. The breaded shrimp are then fried in hot oil. Just about any size shrimp can be breaded and prepared this way. Shrimp should have their shells and dark veins removed before they are breaded. To remove the vein, a sharp knife can be used to cut a shallow slit along the length of a shrimp's back. The dark vein can then be scraped out with the knife point. The shrimp should then be rinsed in cold water. Bread crumbs are often used as the coating on breaded shrimp. These can be plain bread crumbs or seasoned bread crumbs. Seasoned bread crumbs usually have a little more taste. Cans of bread crumbs can generally be found for sale at most supermarkets, or a cook can make her own at home. Other crushed food items, like chips or crackers, can also be used as a coating on breaded shrimp. To make the bread crumbs stick to the shrimp, another substance is usually needed. Water or milk are sometimes used for this. Many culinary experts, however, recommend using beaten eggs. Breaded shrimp must be breaded before cooking. This is done by dipping the shrimp into the beaten eggs, then rolling them in the bread crumbs. The bread crumbs can also be poured into a large plastic bag. Shrimp coated with egg is then tossed into the bag, which can be sealed and shook. Most of the time, breaded shrimp is cooked in hot oil. This is usually done in a large skillet or pot, and it is often referred to as deep frying. When the oil is hot enough, usually around 350 degrees Fahrenheit (177 degrees Celsius), the shrimp is added to the oil. As soon as the breaded shrimp pieces turn a golden brown color, they should be removed from the pan with a slotted spoon. They can then be laid on a layer of paper towels. The towels will absorb the majority of the excess oil, preventing the shrimp from getting soggy. 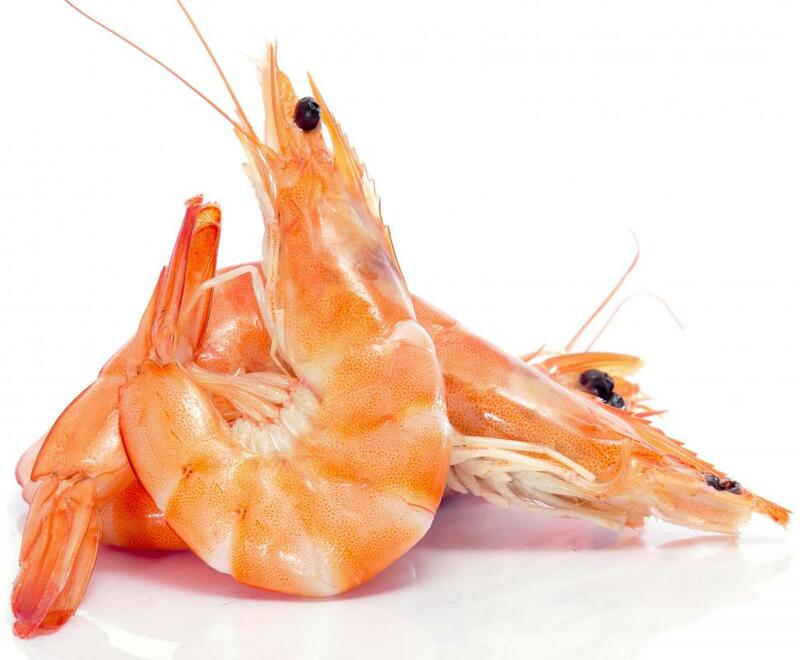 Large shrimp should be deveined before they are breaded, but it is not necessary to devein smaller shrimp. The tails should also be left on large breaded shrimp to make them easier to eat and more attractive. It is also not usually necessary to remove the tail from small breaded shrimp, which are often referred to as popcorn shrimp. What Are the Different Types of Shrimp Appetizer? What Are the Different Types of Shrimp Batter? @heavanet- If you want to make breaded shrimp that has a nice texture and is easy to prepare, there is an simple way to do it. All you will need is shrimp, a bowl of water, a flat pan filled with flour, a frying pan with cooking oil, and the seasonings you prefer. Clean your shrimp in preparation for the meal. Dip it into the bowl of water, then roll it in the flour. Sprinkle each piece of shrimp with your favorite herbs and spices. Heat the cooking oil in a large skillet, and place the shrimp into it to cook until it is golden brown on each side. This simple shrimp recipe is easy and inexpensive, and is great for a meal for one or for cooking for a crowd. Once the shrimp is cooked, the flour breading will give it just the right crunch without overpowering the delicious flavor of the shrimp. @heavanet- You would probably prefer shrimp that is coated with a breading that starts with a batter instead of crumbs. You can purchase this type of batter in a box at your favorite grocery store, or easily make your own. To make batter, all you have to do is mix about one cup of flour with a cup of water, an egg, and you favorite seasoning. Dip your shrimp into the mixture and put it into your deep fryer for several minutes. Place it on a paper towel when it is done frying so you can remove excess oil. You will have crispy breaded shrimp with a texture you will love. Does anyone have a recipe for breaded shrimp that doesn't call for bread crumbs? I have tried it made this way, and I was not fond of the taste. I prefer a crunchier texture that doesn't crumble as easily as this type of coating does.